Two weeks after setting up 28 fertilized eggs from Harmonious Homestead in an incubator rented from City Folk Farms, once the sun set, we candled the eggs. 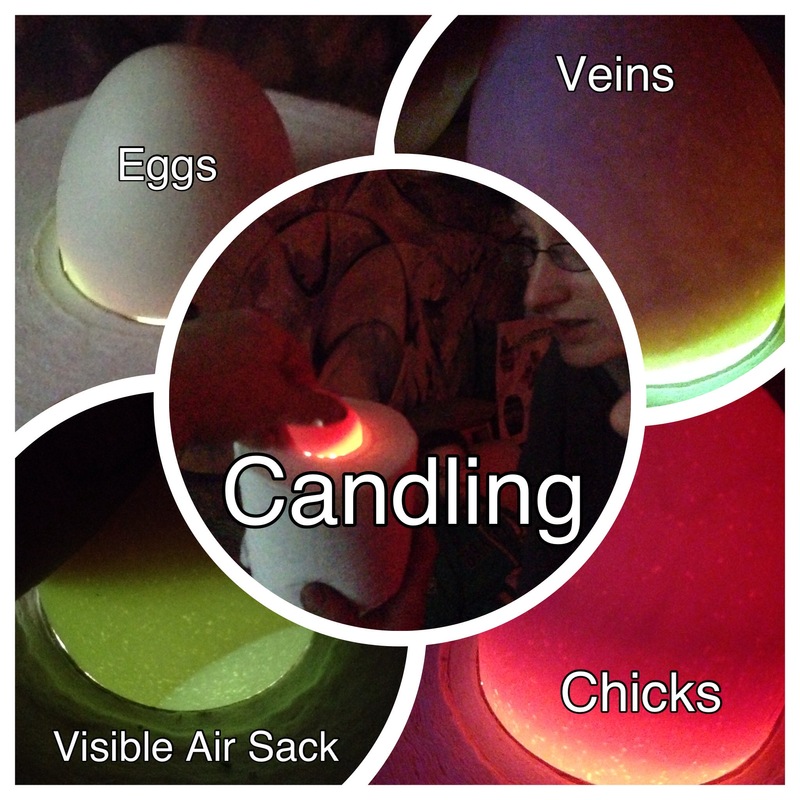 Candling is when you place a light under an egg to illuminate the contents. We placed the egg on a toilet paper roll for stability. 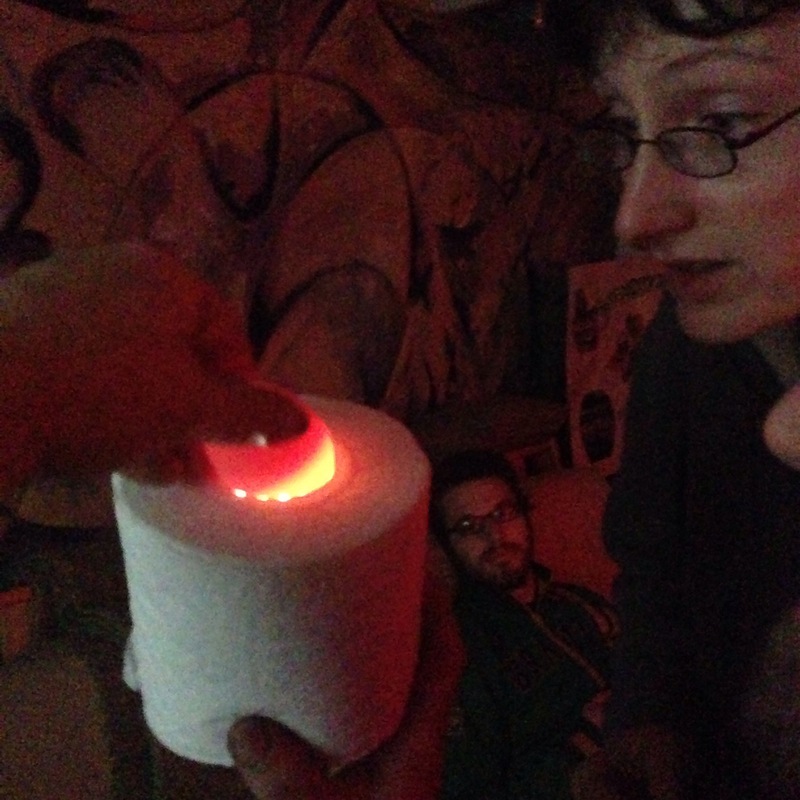 Then, by using a flashlight inside the roll under the egg, we could see veins & air sacks formed. 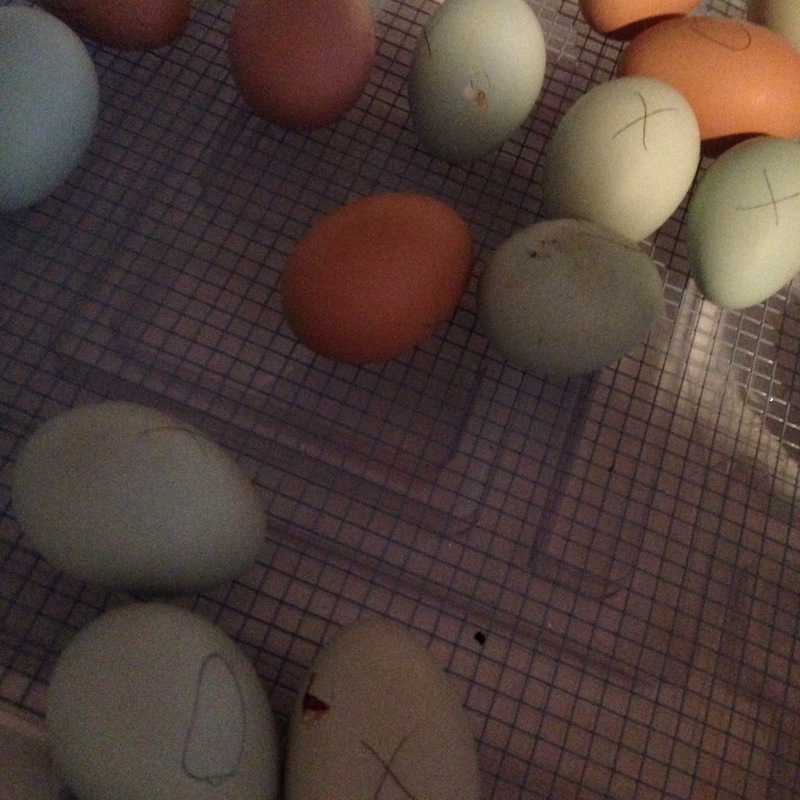 We had signs of life in 22/28 eggs. Then, at day 18 – or about a day or two early – the chicks began “inner chirping” or making noises inside the eggs and then they began to “pip” or develop little air holes in the eggs. We were expecting it to take 21 days, but the chicks were eager and so were we! Aren’t they adorable? It was so hard to keep the incubator closed and not handle the chicks. Given this was out first hatch we made this mistake and ended up losing a bunch of chicks to “shrink wrap,” which is when the membrane in the egg dries out and suffocates the chick. Keeping the humidity up by leaving the incubator closed until all chicks are hatched is a lesson learned the hard way. 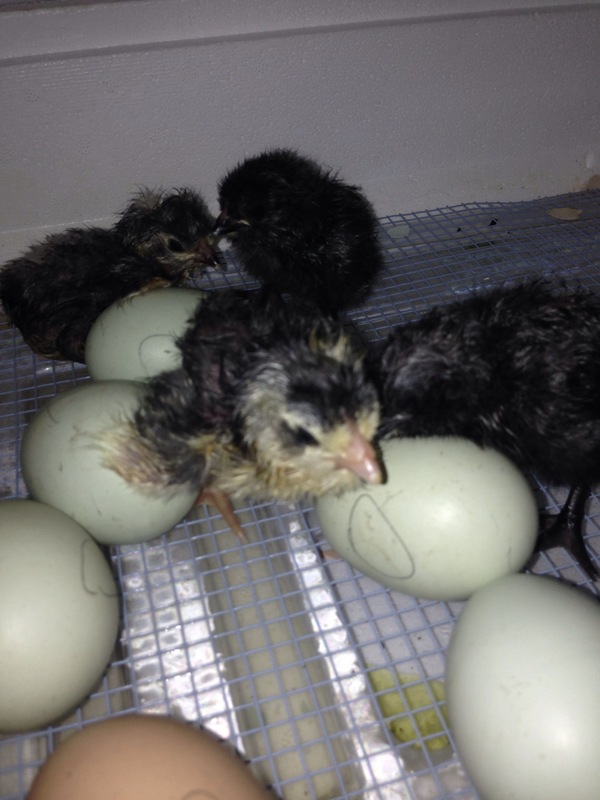 9 chicks survived the hatch and are happily eating, drinking & chirping away in a sawdust bed. We’ll keep posting updates here, Facebook, & Twitter. Next Next post: So peepin cute!